Sauber driver Charles Leclerc admits he was taken by surprise by just how big the leap from F2 to F1 was heading into his rookie campaign in 2018. Charles Leclerc admits he did not expect the jump from Formula 2 to Formula 1 to be so big heading into his rookie campaign in 2018. The Sauber driver, who claimed back-to-back titles in GP3 and Formula 2, made his highly-anticipated F1 bow this season but endured a difficult opening three races in Australia, Bahrain and China. In a bid to turnaround his fortunes, Leclerc responded by making alterations to his approach and driving style, with the Monegasque going on to make four consecutive Q2 appearances and score points in three of the next four rounds. "Even being in this sport since I was three, I did not expect that jump to be so big. The amount of procedures, and changes in driving style, just everything, is a whole step forward,” Leclerc explained. The 20-year-old has received high praise from multiple F1 world champions Lewis Hamilton and Sebastian Vettel, while his recent string of impressive performances has resulted in increased speculation that he could be in line for a Ferrari drive next year, given Leclerc’s long-standing relationship within the Scuderia’s young driver talent pool. 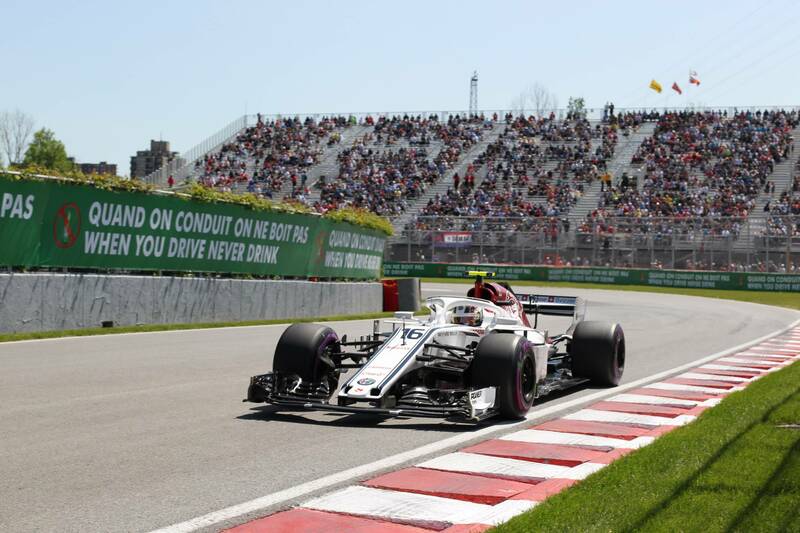 Leclerc, who recorded Sauber’s first consecutive top 10 finishes since 2015 thanks to a sixth place in Baku and 10th in Barcelona, said the intensity of the F1 paddock and weekend schedule had initially caught him off guard. "The weekend overall is very different, a lot more busy with media and everything, but the goal is the same: to do the best job possible in the car,” he said. “You need to learn how to work with so many people, and for me that was quite difficult in the beginning. "In F2 you are only speaking to one person, which is your engineer, but here you have so many people that are taking care of smaller areas than you have in F2. That takes a little bit of time to get used to." Leclerc put some of his early success down to the experience of tyre management he gained during his time in GP3 and F2, series which use high-degradation Pirelli rubber, though he still needed to learn new elements including how to manage F1’s hybrid technology.